Ken Ham would have us believe that the modern creationist movement, which apparently began only 53 years ago, is the real deal this time. Unlike all the other attempts to create a history of the Earth with a recent global flood as a centerpiece, this time it apparently is going to usher in a real reformation in both science and an appreciation for biblical authority. And the new centerpiece of this reformation is the recreation of Noah’s Ark. 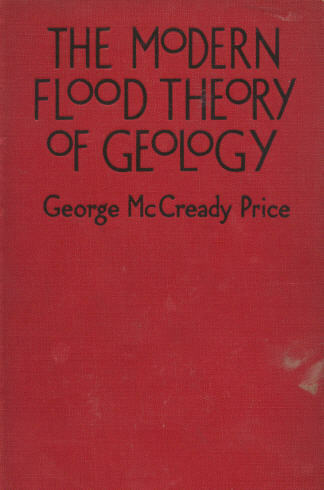 One of Price’s many books extolling “modern” flood geology as an alternative to conventional geology. One notable non-SDA member of this society was Henry Morris who would eventually co-author The Genesis Flood in 1961. In most versions of the history of creation science found on the Answers of Genesis website one could be forgiven for thinking that The Genesis Flood were a special creation itself. Most leaders of today’s creationists organizations prefer to distance themselves from a heritage that they probably don’t feel especially close to theologically especially given the association of the original creationists of the early 1900s with the work of Ellen White. Thus, they rarely acknowledge the origins of the principle tenets of scientific creationism or that there was a significant creationist cultural presence in elements of the church prior to the publication of the book. The Genesis Flood is a recapitulation of naturalistic mechanisms to explain a recent global flood that had already been vetted and discarded by hundreds of scientists over hundreds of years but has been repackaged once again as a necessary means of upholding biblical authority. The real history of modern creationism has been explored in an the book The Creationists: From Creation Science to Intelligent Design, Expanded Edition (2006) by Dr. Ronald Numbers (Professor of History of Science and Medicine, U. Wisconsin, Madison). Numbers grew up SDA himself and has written extensively about Ellen White and so is in an excellent position to understand the history of modern creation science. If you don’t have time for that tome you could still benefit from reading the Wikipedia page on flood geology for a concise but informative history of this form of creationism from the late 1600s through the present day. The hypothesis that all geological formations, and the fossils found within them, could be explained by a global flood has been proposed repeatedly for over 300 years. It has varied in the details but the core arguments have not changed much. Whether it is Woodward in 1695, the Mosaic Geologist’s of the early 1800s or members of the SDA in the later 1800s and early 1900s, the arguments (both scientific and theological) have been about the same. Those hypotheses have been discussed, debated and dismissed over and over again by natural historians, Christian geologist, the scientific community and the vast majority of theologians (see the references below for works substantiating this claim). As I stated initially, Ken Ham would have us believe that the modern creationist movement is the real deal this time. Unlike all the other attempts to create a history of the Earth with a recent global flood as a centerpiece, this time it really is going to usher in a real reformation in both science and an appreciation for biblical authority. He even goes as far as to compare the modern creation science movement with the reformation kicked off by Martin Luther in the 1500s. Does Ham believe that all other attempts to establish a recent catastrophic global flood were unable to bring about reformation because they were not sufficiently accurate interpretations of the geological record? Or maybe all other attempts were led by Christians that weren’t as theologically orthodox as he perceives himself – they didn’t quite have all their answers from Genesis. Why should we expect that this latest attempt to promote a previously rejected flood geology hypothesis will bring back a full appreciation for biblical authority? I find the strong connection made between biblical authority and creation science to be dubious given especially since those in the reformed theological tradition, including myself, have been most likely to uphold biblical authority but also have a history of concluding that the Scriptures don’t speak to the specific age of the earth or universe. 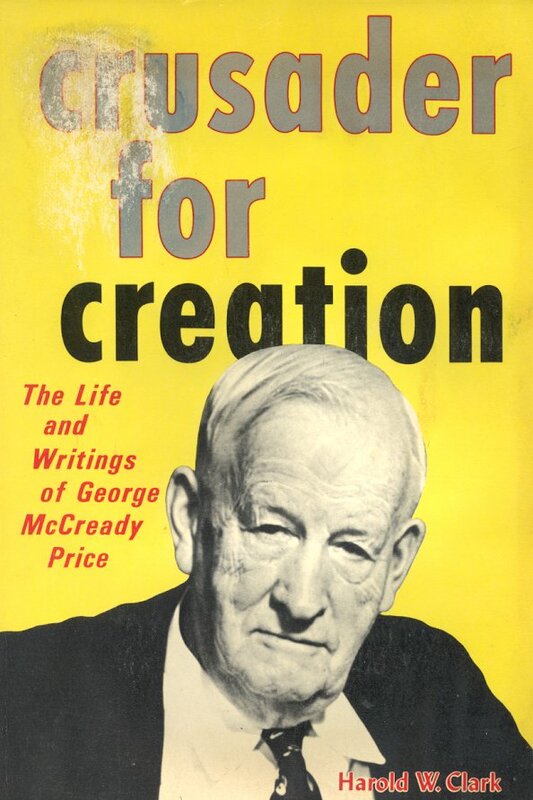 In many ways George McCready Price was the Ken Ham of the early 20th century. He was clearly a modern creationists but is nearly forgotten today. Will Ken Ham be likewise ignored by his counterparts 100 years from now? Peter Harrison “The Bible, Protestantism and the Rise of Natural Science” 1998 Cambridge University Press. This is a great read on the relationship of the growth of natural science and the influence of Protestantism in that growth. The book focuses heavily on issues surrounding Genesis for its examples. Ronald Numbers “The Creationists: the evolution of scientific creationism” 1992 University of California Press. Ronald Numbers studies the history of science and has a special interest in creation science having grown up as a seventh day Adventist. This book is the single best read if one wants to get a feel for the history of the modern-day creationists movement. 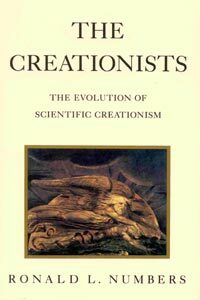 Though not a creationists the book has been lauded by creationists as a good overview of their movement even if they don’t agree with all of his interpretations of that history. 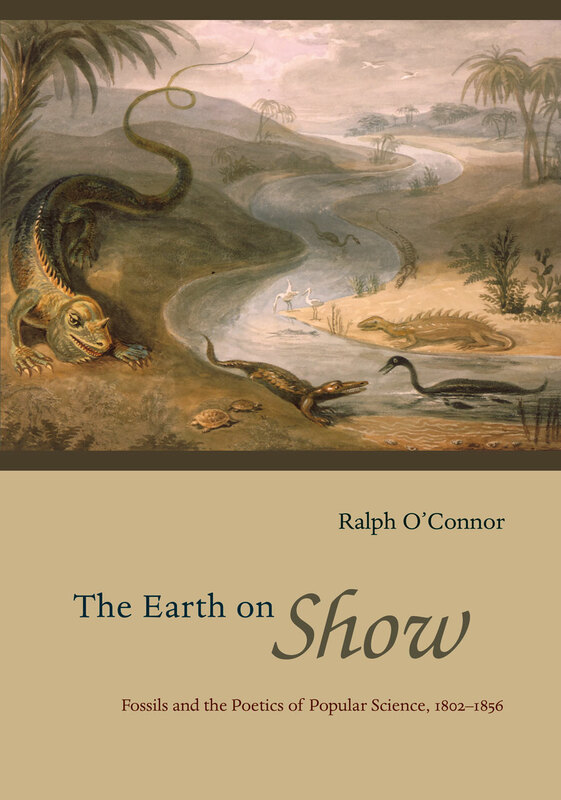 Ralph O’Conner “The Earth on Show: Fossils and the Poetics of Popular Science, 1802-1856” 2007 Chicago Press. This book examines how fossils were presented to the public in the 1800s and how the public responded. O’Conner spends a good amount of time talking about the Scriptural Geologists and how they explained the fossil finds of the 1800s. W. Robert Godfrey “God’s Pattern for Creation: a covenantal reading of Genesis 1” 2003. Godfrey is the current president of Westminster Seminary in California. This is my favorite short book that provides a nice background to what Genesis is teaching us about creation. Godfrey uses a covenantal approach to lay out problems with the traditional literal approach. This is the book I would give to the lay Christian wanting to understand what the Biblical author (in this case he believes this author is Moses) wishes to communicate in Genesis 1. The body of the text is only 90 pages and is easily read in a sitting and well worth it for getting a nice view of the bigger picture. I bought extra copies just so I could loan this book out. 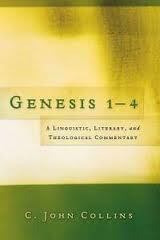 C. John Collins “Genesis 1-4: A linguistic, literary and theological commentary” 2006. Collins is professor of Old Testament at Covenant Theological Seminary (PCA). I just finished reading this book recently and although I have read many other commentaries on the same passage I learned many new things from Collins and he presents one of the most compelling linguistic cases for a non-strict literal reading of Genesis 1 and 2. He promotes a view called the Analogical days which right now I find the most compelling. So far this book has the most detailed Biblical analysis of just what are the effects of the fall that I’ve read yet. He argues from the Scriptures very effectively that sin did not bring physical death into the world as is commonly believed. I find his sections about the nature of nature and how the curse effects that nature to be very insightful. I think this book will be very influential in the coming years. So far I have found that the framework interpretation has received much criticism but at this point I feel that framework interpretation continues to receive attention simply because the 6 day creationists focus on it knowing that they can poke holes in it. On the other hand I have not found many serious rebuttals to Collins analogical days view which I believe is a more consistent interpretation of Genesis and corresponds to my understanding of how the Bible was written (doctrine of inspiration). 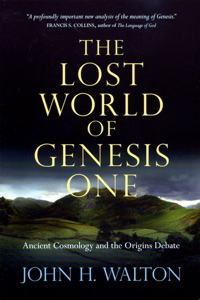 John Walton “The Lost World of Genesis One: Ancient Cosmology and the Origins Debate” 2009. Walton, professor at Wheaton College, presents in this book a view that has become known as the cosmic temple inauguration view. Walton argues that Genesis one describes the functions of the creation not their physical origin. 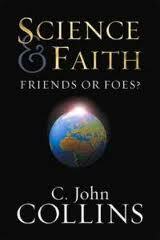 A very readable and thought-provoking book, a more scholarly follow-up book is due out in October of 2011. Of the books I have read in the past five years this one is right up there in terms of impact on me and has had a big impact in the evangelical world. The Reformation involved restoration of Biblical truth and the cutting away of Roman innovations. The Ark Park will accomplish neither. YEC dogma is not Biblical and it is an innovation. Ham readily admits that. Have you seen Peter Leithart’s review of Walton’s book? I think he hits on some of the same ‘problems’ that John Collins brings up in his earlier review of Collin in ‘Reformed Academic’! The other resources are excellent! Godfrey’s in particular is important now in that it conveys most of what I think we want to say without taking the Enns’ route of denying a historical Adam and Eve, while at the same time avoiding the pitfall of the Ham-bone! Thanks for the link to the Leithart’s review. I had not seen that yet. Of the resources I listed I would have the most problems with Walton. I think he adds a useful contribution to the discussion but have had more reservations over time about his central thesis. The 55 years bit probably means that they intend to finish, or start, or bang in another nail in ’16. I don’t look forward to the new Wars of Religion, but I wonder if the second treaty of Westphalia will include a section on drones? yeah, your probably right. I did notice that there was no clear signal about when the actual groundbreaking would occur. A month ago when they said something about this ceremony I assumed that they might actually be breaking ground but the peg banging seems to be purely symbolic. I expect that a shortage of funds and legal issues are still holding them up. I saw Ken’s article praising his ark project as more of a disparate attempt to regenerate enthusiasm among the faithful. Regular donations to the project have dropped off significantly in 2014. The significant distinction of Ken Ham’s AiG incarnation of YEC is the amount of money involved. Their ‘science’ is poor even by creationist standards but Ken knows how to raise money. The ark project (phase 1 only) is almost three times as ambitious as the creation museum – original estimate $71 million compared to $27 million for the museum. I strongly suspect they have significantly scaled back the project scope (my guess is between $40 – $50 million) but it’s still substantial. Will Ken’s ark bring a reformation – no, but it has a chance to be a financial success (and add to Ken’s kingdom on earth). Good point. Ken Ham has changed the landscape of this latest reincarnation of flood geology. I expect it will have more staying power, not because it has any better solutions than past attempts but as you say, the scale of money and resulting influence is so much greater. There are more christian scientists voices that oppose YEC but there voices are barely heard within the Church because they are drowned out but the Ham publicity machine. Grayson KY needs economic stimulation. Maybe the Ark Park will help by employing locals. As with all Ego, Ken Ham is blind to his own egotism. He once asked his audience, “Who do you believe, God or science?” Of course, his audience said, “God!” But his question was a false dichotomy! The opposition is not between science and God, but between science and Ken Ham and his flawed interpretation of scripture. The Pentateuch (and perhaps other parts of the Bible, as well) was written in code by Kabbalists. Not the New Age tricksters, but the authentic Kabbalists. Ham would likely flip out upon hearing such revelation. I wasn’t surprised by the Kabbalists’ claim. Fifteen years ago, while researching Genesis, I discovered the Kabbalists’ “Tree of Life” matrix embedded in 2 chapters. I also discovered a biblical timeline compatible with those of science and the new Flood date matches the extinction of the Flood’s targeted species — the daughters of men who threatened God’s way upon the earth. This story just keeps getting more and more interesting all the time, especially when you let humility and a hunger for answers drive you forward. Love really is the answer to everything. And love means thinking nothing of the self (ego). And I’m still learning. Great. All we need is a “Christian” theme park complete with a mock-up of Noah’s ark. Ken Ham believes dinosaurs were on the ark. Okay, it must have been really, really big then. And these would have been the nasty beasts that roamed a fallen world and not the Disney-nice creatures that Adam and Eve supposedly saw in Eden. Young people see such fanciful exhibits and they imagine Christianity is some weird cult that has a thing for dinosaurs and is obsessed with the exact dates for the beginning of the world and for the end of the world. Sad.